Spring break is in full swing around here, and I have to say that so far I’m enjoying our laid back days. We kicked off the vacation time with a PJ day on Monday followed by an unstructured day yesterday. I wanted to give the kiddos a bit of break from rigid routines and let them just relax before we jump into the spring break ‘fun’ that I have planned for them. Before this school vacation gets too far gone, I wanted to make sure that I have a plan in place to beat back the boredom blahs. Having a list of things we want to do this spring break is great, but there will be times when boredom sets in, or days when we don’t have anything planned. So I whipped up some kid friendly to-do lists so that our boys can take responsibility for their own time. To be perfectly honest, I say boys, but our teen has his own agenda this spring break, and he’s a little too old for lists like this anyway. Liam, on the other hand, thrives on charts and lists and he’s at a great age to be using them. He likes to have some control over what he gets to do each day, of course, if I left it up to him, he’d spend all his time in front of a screen of some sort and I’m just not having that. This Spring Break I want to encourage him to pursue other interests and engage in off-screen activities. I also want to make sure that I have a plan in place for the inevitable “I’m bored!” refrain. After giving it a lot of thought, I decided that a simple to-do list/checklist was a great way to encompass all of those. 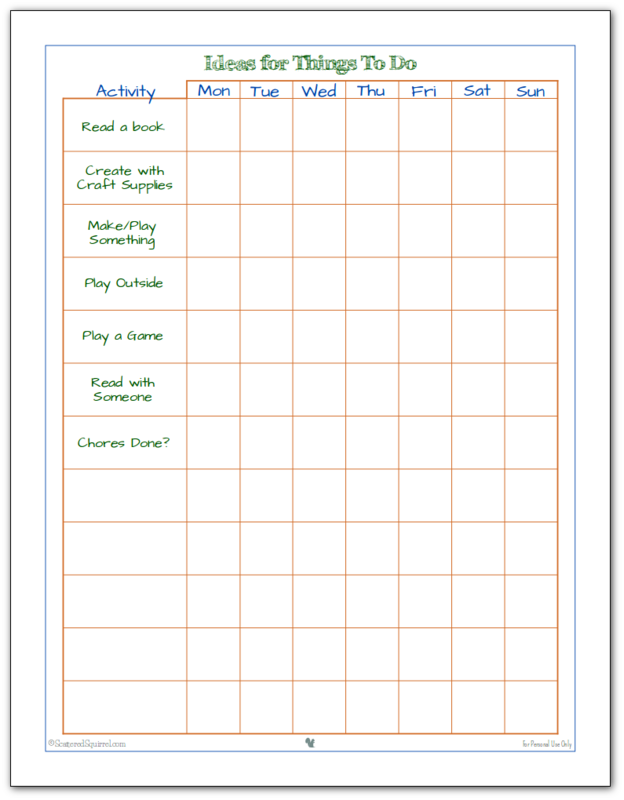 Chore Charts – teach our children about responsibility and many times about setting priorities for those responsibilities. These usually include daily and/or weekly household tasks that our children are responsible for. Routine Checklists – usually used to help children take responsibility for making sure they complete certain tasks at certain times of the day, such as getting dressed, brushing their teeth, and making sure they have their backpacks before school. When it comes to introducing new systems, whether we’re introducing them to our kids or to ourselves, it’s always best to start simple and grow from there. With that in mind, I spent a lot of time scaling down my original idea of making a daily to-do list that encompassed everything to something a little more basic. I opted to focus on my main goal – to encourage Liam to pursue off-screen interests and activities. I made a simple list of activities I would like to see him do each day, and I made sure to leave some space for him to come up with his own ideas. I tried not to be too specific to allow him to come up with his own interpretation of the tasks and I also made sure to include items that are not just solo activities. I couldn’t resist making a second version. Any excuse to play with pink and purple is a good one in my books! 🙂 Living with boys, it’s not often that I get to get girlie with things. As always, click the picture of the one (or ones) that you want and it will open up the PDF version for you to save and/or print. I don’t intend to use this like I would a routine checklist, or even a chore chart. This to-do list is a tool we’re going to use when boredom hits or as a reminder that there are other things we could be doing. If he decides to spend all morning playing outside and all afternoon building a Lego city I’m not going to complain. What I really hope to see with using a system like this, is Liam taking a little more responsibility for his own time and for managing to find things to keep himself occupied. He’s really excited about using it, which I’m taking as a good sign. Though I was told I could have left off the ‘Chores Done?’ part, as he doesn’t think he’ll get bored enough to want to do chores. 🙂 I wish we only had to do chores when we’re bored…. wouldn’t that be awesome if our homes cleaned themselves until we got bored? 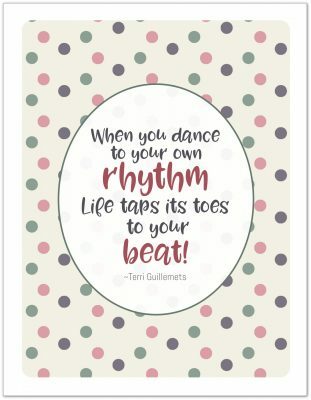 Do you use charts, checklists, or to-do lists with your kids? I’d love to hear how you use them! My teen has his own agenda for spring break, too. These are good ideas for summer break, too. Thank you for hosting such a fantastic party!